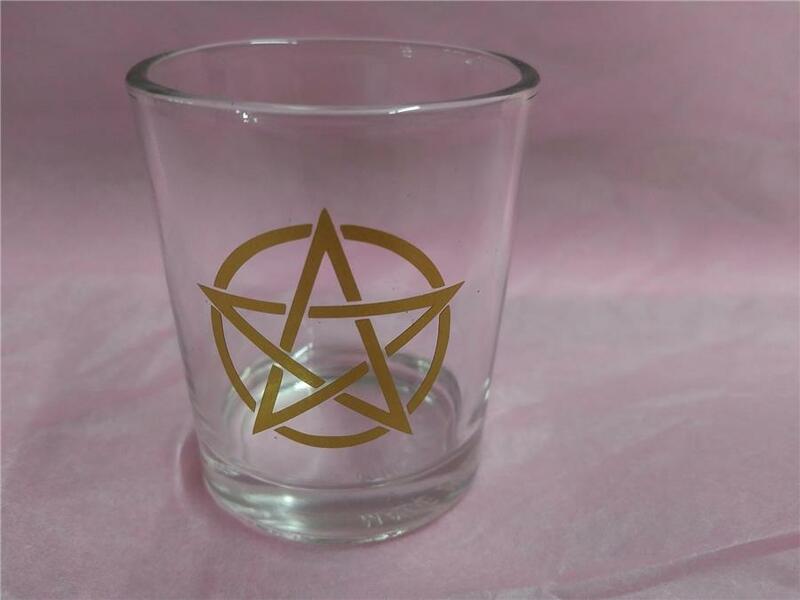 A pretty glass votive/Tea Light holder. 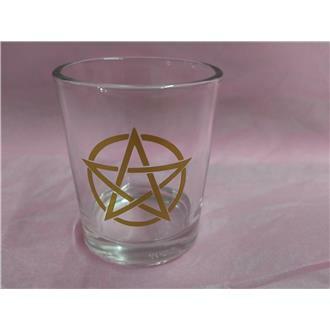 The glass holder has a pentacle design in gold colour on the front. 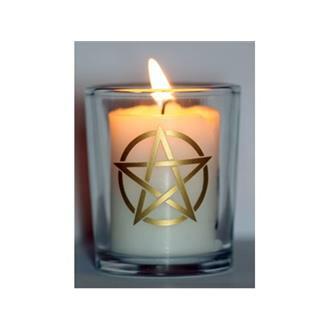 Perfect for the altar. 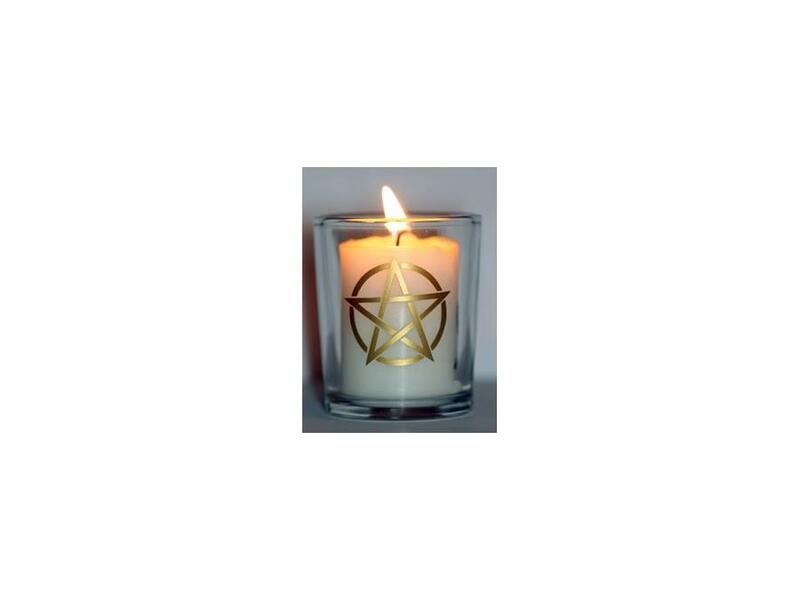 Candle shown not included.